Just like many companies, Nissan also uses this strategy (Special Editions of Standard Vehicles) to maintain and increase sales figures for a vehicle that has been out for quite some time, and the company now revealed that a new Black Edition LEAF would be coming out. The starting price of the model is £26,890, and you can get it now with an abundance of black elements, in the UK. Although you will be getting the government plug-in vehicle grant worth £4500, this is one expensive hatchback, not to mention its appearance. However, people who are interested in having the LEAF value more what’s under the hood than the looks. The model now features a 30kWh battery with 155 miles of driving range which are acceptable figures when it comes to electric vehicles. To set a clear difference between the LEAF and other EVs, Nissan equipped the best-selling electric car with 16-inch black alloys, LED headlamps, black rear roof spoiler and black door mirror caps. For a premium look, the automaker decided to go with blue-stitched mats. 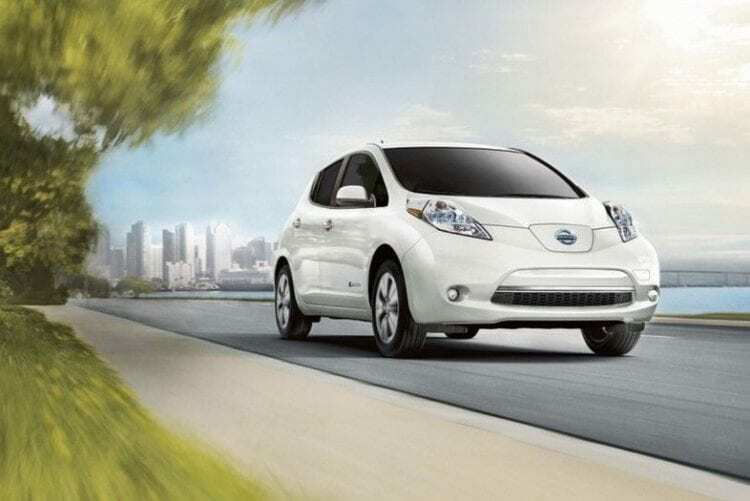 Among the standard features, there is NissanConnect EV telematics system and Intelligent Around View Monitor, whereas a free Wi-Fi hotspot with up to eight connections is guaranteed for the first 200 Nissan LEAF Black models.